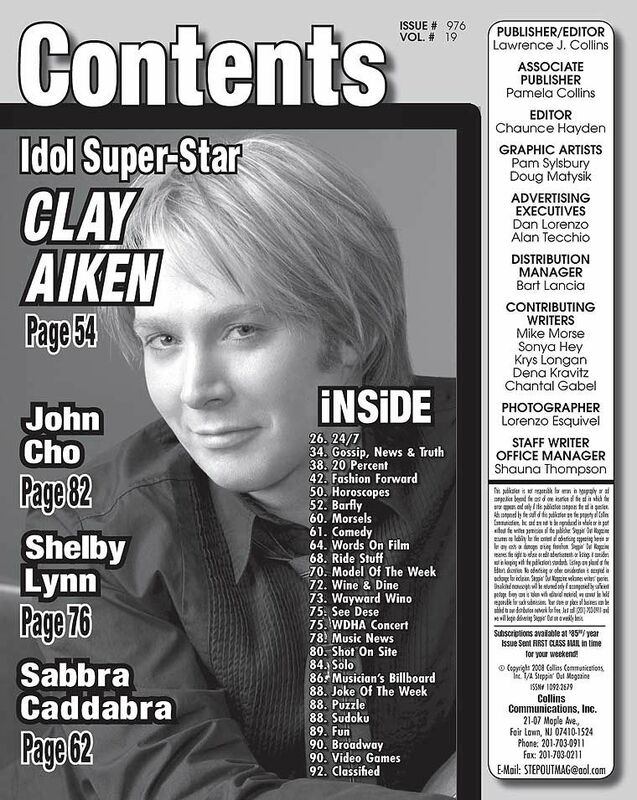 Each week, the main feature is its cover feature, usually an interview with a celebrity. The readership of the magazine is over 50,000 in print, plus a large online readership. 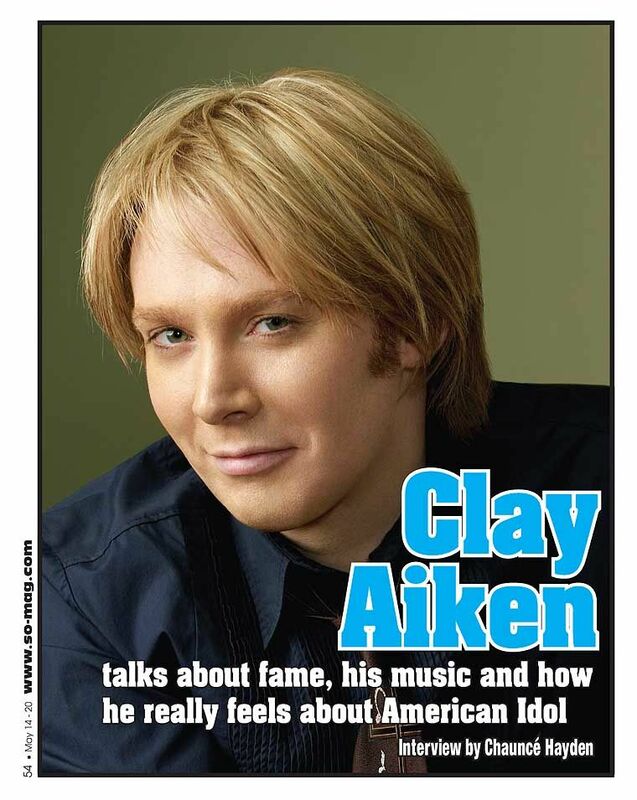 On May 14, 2008, Clay Aiken was featured in the magazine. 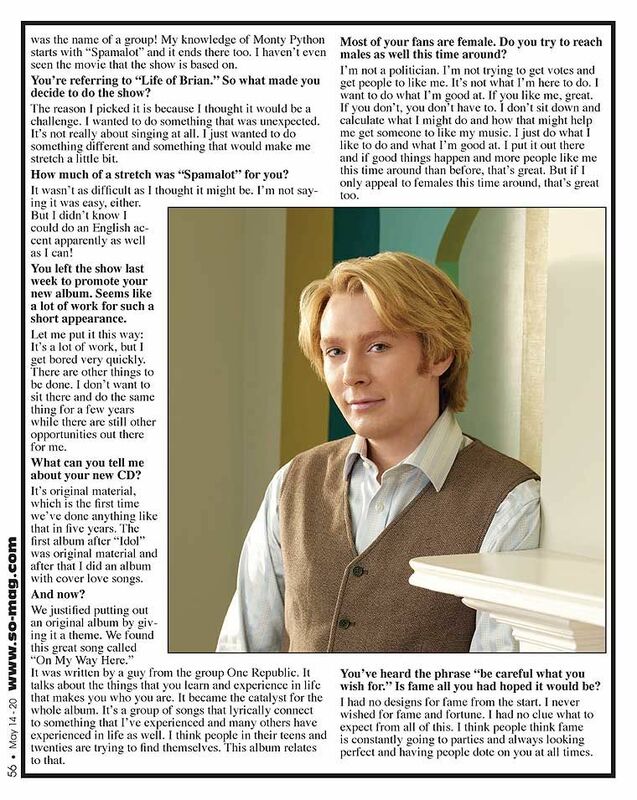 I had forgotten about this Clay Aiken feature and it was fun to find it again. Remember, if you click on the picture, it will show the original size and it should be easy to read. I hope you enjoy seeing this. Had you read this article before? Do you think there will be more Holiday concerts in December? This is a reminder to take out my copy and read it again. I do hope that there will be more concerts in December especially for the fans in the west coast. I have read this article before, he's very articulate and knows what to answer when he's put on the spot, way to go clay! No, I had never seen the Steppin' Out article before. 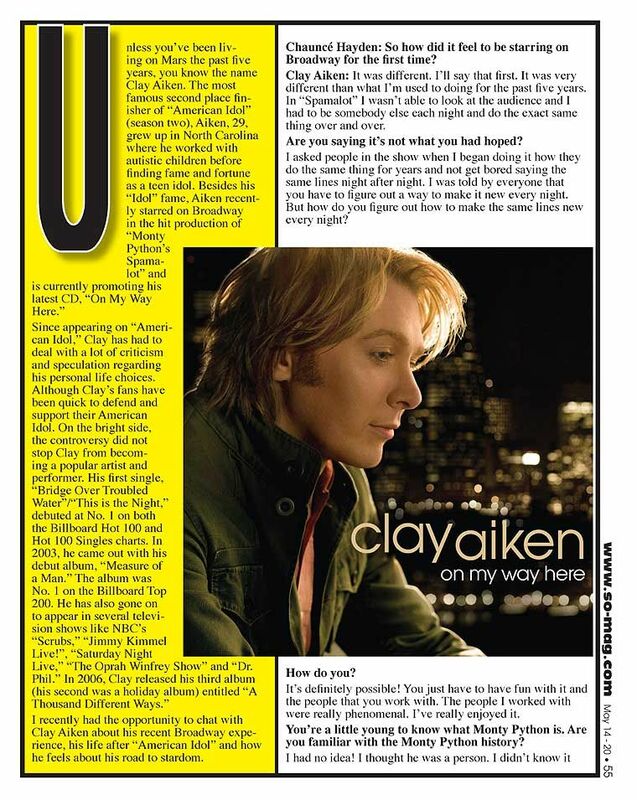 Noticed that though the interviewer did mention that others speculated about Clay's personal life, he never brought it up himself in the interview. Clay was respected, and he gave intelligent and terrific responses. I love the three gorgeous photos of Clay that they used. Thanks for keeping up to speed on all things Clay. I had forgotten about this article too so thanks so much for sharing it. I can't wait to see this CANN report come with the news of WEST tour dates! Especially now that I have decided I can't attend the Gala this year… only the 2nd gala I will miss. I do remember reading this article..but, it was so long ago that I enjoyed reading it again. Clay looks so gorgeous with that blond hair. I wonder if there will be more shows in the West. I hope so! remember the article well. Now just praying for a west coast concert. PLEASE!!!!! Error: Error validating access token: Session has expired on Tuesday, 21-Aug-18 16:13:01 PDT. The current time is Friday, 26-Apr-19 01:43:17 PDT.